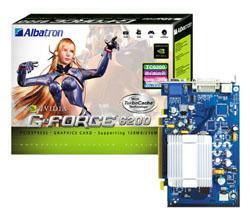 December 16th – Albatron Technology announced its new TC6200 Series VGA cards based on NVIDIA’s GeForce™ 6200 GPU with TurboCache™ technology. This series includes the TC6200, TC6200U and the TC6200Q. These cards will provide the latest in PCI-Express without the high price tags that usually accompany recent technologies. NVIDIA’s TurboCache™ Technology allows the GPU to render portions of the 3D graphics data into system memory. This reduces the memory burden and memory requirements on the VGA card, thus lowering the component costs for the card. Therefore, you could take a VGA card with only 16 MB in its frame buffer and increase its usable VGA memory up to 128 MB by borrowing from system memory. 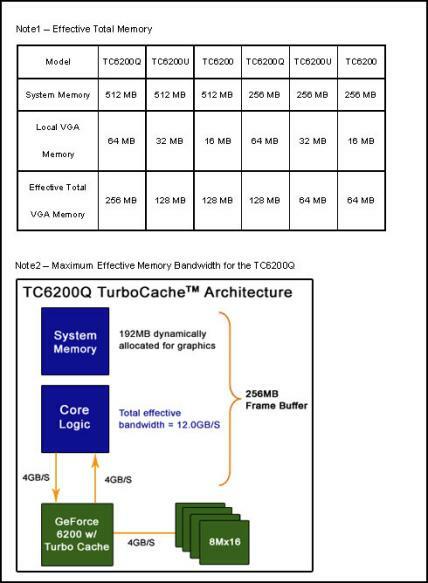 TurboCache™ works by dynamically searching system memory for space that can be used for graphics rendering. TurboCache™ technology then takes advantage of the PCI-Express high-speed, bi-directional data transfers to store and retrieve data to and from system memory as needed. The total system memory that can be attained by the VGA card depends on the system memory available. For example, a mainboard with 512 MB of system memory could allow a TC6200 card with 16 MB to increase its maximum effective total VGA memory buffer to 128 MB. A mainboard with only 256 MB of system memory would allow the same card to attain a maximum effective VGA memory buffer of 64 MB (see note 1 for TC6200U and TC6200Q cards). For systems with Intel 915 mainboards, the TC6200Q is capable of delivering data at 4 GB/sec both upstream and downstream (to/from system) which comes to a total bandwidth of 8 GB/sec. 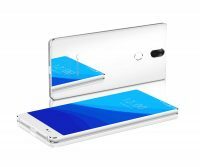 The TC6200Q bandwidth between its GPU and local memory buffer is 4 GB/sec which further increases your maximum effective memory bandwidth to 12.0 GB/sec (see note 2). The TC6200 Series VGA cards along with NVIDIA’s GeForce™ 6200 provide PCI-Express performance at reduced prices. These cards are coming to market with one of the strongest C/P ratios and are on track to become one of the best buys of the year.